The distance between Columbia, Missouri and Bogotá, Colombia has grown smaller, thanks to a unique partnership between the University of Missouri College of Education and the UNIMINUTO University System in South America. 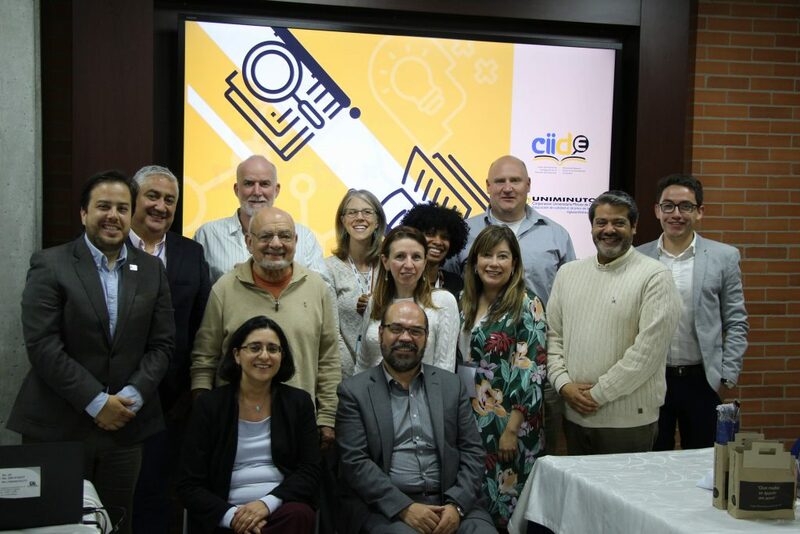 A celebration was held in Bogotá this summer to launch CIIDE: Centro Internacional de Investigación para el Desarrollo de la Educación for Spanish speakers, and the International Research Center for the Development of Education in English. The new partnership was facilitated by Pilar Mendoza, an Associate Professor of Higher Education in the Department of Educational Leadership and Policy Analysis (ELPA). CIIDE is the result of a research study Mendoza led, in collaboration with UMass Amherst and la Universidad de los Andes in Bogotá, that was funded by the Ford Foundation. This study determined that the Latin American educational system faces many of the same issues faced in the U.S., including lack of access, retention, quality, and equity. As such, the goal of CIIDE is to inform educational leadership and policy in both the U.S. and Colombia, through research that considers local and global influences. CIIDE will have a focus on increasing social mobility and inclusion for students beginning in kindergarten and through university age. “In Latin America, there are just a handful of master’s programs in educational leadership, and the administration and policies are carried out without a profession, or without a body of social scientific knowledge that supports it,” said Mendoza. “We can help bring best practices to Latin America, but we also want to establish a two-way learning experience, where the United States will benefit from our work, because we are convinced that the North has much to learn from the South,” said Mendoza. In addition to Mendoza’s work, ELPA faculty traveled to Bogotá to see how their own research can be extended through CIIDE, including Brad Curs, Department Chair, Lisa Dorner, Associate Professor, Amalia Dache-Gerbino, Assistant Professor and Gabrielle Malfatti, Ancillary Associate Teaching Professor and Director of the College’s Global Engagement Office. More details on the project will be available at elpa.missouri.edu.